Truck Accident Attorneys in Spartanburg | Holland & Usry, P.A. Why A Separate Page For Tractor Trailer Trucking Accidents? A South Carolina 18-wheeler trucking accident attorney briefly tells why these are not just car crashes, in this intro to his firm's trucking-specific website. This may not be the first 18-wheeler accident attorney website you’ve been to, but this one can actually help you. Keep reading our advice as Trucking Accident Attorneys. Wondering why you should trust us in the first place? Here's what it's like to work with us, shown by real client comments on a website we don't own. The first thing you need to know is, tractor trailer accidents are usually NOT your typical car accident case. The consequences are often far worse – victims often suffer paralysis, brain damage and even fatalities. Severe injuries require extra legal care to protect your right to get your medical bills paid – especially future treatment. We work with both you and your doctor to understand your injuries to develop the full impact of them on your life – and even your spouse’s. The cause of the crash may be more complicated than you think, because the trucker's employer may share fault. Plus, evidence to prove fault can get downright scientific – like analyzing black box data. And there may be more grounds for fault than you know. The trucking industry is heavily regulated, which increases the potential grounds for fault. That can increase your chances of a better settlement, including the potential for punitive damages. To fully evaluate all grounds for relief, you usually need a focused, thorough investigation of the trucker and the trucking company. For example, did you know truckers can drive only limited hours, by law? Our investigation can start before the trucker even turns the key to start the engine, to make sure the trucker did a required pre-trip inspection to make sure his big rig was safe to drive. In fact, our investigation might start before the trucker’s even hired, to see if he’s qualified by law to drive an 18-wheeler in the first place! You may need an expert for an in-depth investigation of the cause of the crash, like faulty equipment, improper hiring, training, or supervision of the trucker, and improper maintenance of the semi. Often, you can’t get the data you need to properly investigate your case just by asking. That’s when we file suit and get the data from a court ordered process called discovery. Worse, sometimes vital evidence disappears after these crashes. We act fast to do all we can to prevent that. Trucking insurance companies work hard to protect their own by beating down seriously hurt victims to settle cheap, so they can save money and increase profits at your expense. 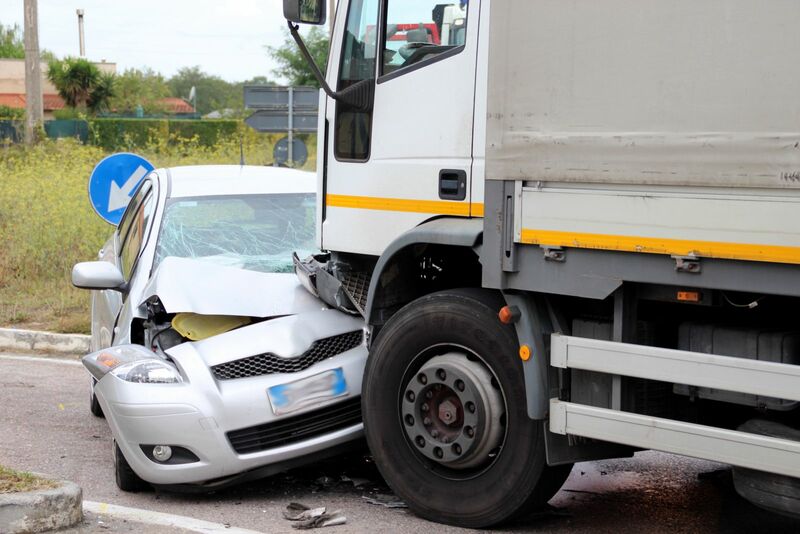 You may have a better shot at punitive damages – but you need experienced truck accident attorneys to help find the legal and regulatory violations to help you get them. Sound like a lot of work? It is. But there’s a lot at stake for you. That’s why you should give it to a professional to get it done, and done right. You owe it to yourself and your family to talk to an experienced truck accident attorney. We won’t charge you a thing to talk, email, live chat, or even meet with you in person. And you don’t have to hire us. Plus it’s totally confidential. To speak to a lawyer about your case, call us toll-free at 888-230-1841 or just an fill out our Get Help Now form at the top of this page, or start live chat right where you are. Here’s the answer to the #1 burning question we get asked in private by big rig crash victims. Everyone wants to know what their case is worth. In this article and video, we give the basics on how we value cases. But bear in mind, there’s a lot more to an 18-wheeler accident case, as we discussed above. To learn more about getting a settlement and how much you can possibly expect, call one of our lawyers or click here to begin a chat. Here’s our #1 burning question: What can our truck accident attorneys do to help you? That’s the first question WE ask. All people are unique, so their concerns are unique. We cater to you. Our website’s loaded with free information folks want to know about their cases. Take advantage. If you still have questions, call us toll-free at 888-230-1841. Let’s put your mind at ease over the cost of hiring us. Here’s how much money you need: Zero. We work these cases to be paid with contingent fees, meaning we are invested in getting you the best possible result. We will work as hard as we can to get you the best result we can. We will always be honest and sincere with you, even if we’re telling you what you don’t want to hear. We will keep you updated and informed on your case’s progress. See what other clients say about us on a third party website. Why go it alone when it’s likely not in your best interest? You need a professional on your side, just like the insurance company. Contact an experienced semi-trailer accident injury attorney to handle all the hard work to protect your one shot at getting the best possible result for you and your family for injuries or loss you may deal with forever. To speak to one of our truck accident attorneys, call us toll-free at 888-230-1841. Don’t worry, we won’t force you to hire us. Want more info about tractor-trailer crash cases? Download our free report. While car or motorcycle accident cases are very different from tractor trailer wrecks in some important ways, they do have some common questions. To help victims with common questions- and things you probably don’t know but need to- we’ve written a report we offer you for FREE. Even the title’s right to the point: I Just Got in A South Carolina Car Accident, Now What? How and when your medical bills get paid, which might shock you. What you can be compensated for. Do I still have a case if I was partially at-fault? How a claim works, generally. Who you deal with at the insurance company. What you can do to help your claim. It even includes a chapter with more on 18-wheeler crashes. You can download it for FREE here. It even includes a chapter with more on semi-truck crashes. For other questions or just to get pointed in the right direction, you can always send us an email, live chat or call us toll-free at 888-230-1841. We handle cases primarily in the Upstate area of South Carolina, especially Spartanburg, Cherokee, Greenville, Laurens, and Union counties, which includes the communities of Boiling Springs, Inman, Duncan, Lyman, Wellford, Woodruff, Landrum, Roebuck, Cowpens, Laurens, Gaffney, and Greer. But if the case justifies it, we can handle one anywhere in South Carolina.